I've heard numerous people say that a regular size bottle of Saline Solution for Contacts is around $20 for ONE bottle. Heck, you can easily get 2 LARGE bottles of Saline Solution in the U.S. or Canada for LESS than that (I just two 20 ounce bottles on Amazon for $16 or two 12 ounce bottles for $12.50)!! Melaney shared a GREAT (and CHEAP) "solution" to this high priced Saline Solution for Contacts scandal!!!!!! (once it's open, you'll have to find something sterile to store it in - preferably a glass bottle [I'd put the majority of it in a big glass bottle - like a wine bottle with screw top - but then I'd ultimately find one of those little brown bottles with an eye dropper). 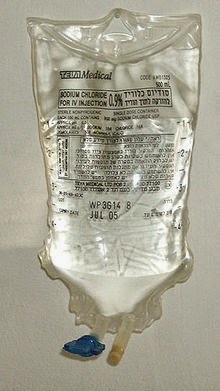 I use the hospital grade saline solution from the farmacia and have for years. It is MUCH better than the commercial contact lens solution product. 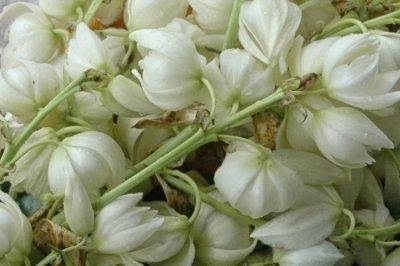 It is pure grade made to be put right into your veins. It is like silk. Once you try it you won't want that other stuff made with harsh chemicals. I put the saline solution right from the container into a glass bottle (an old wine bottle with a simple screw cap) for storage and use a plastic bottle for daily use. It is wonderful. This article made it sound like something to be used as a last resort but it should be your first choice. Try it, you will not want to go back to the chemical saline solution. 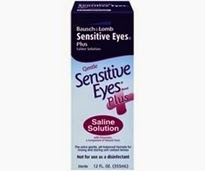 I would also add that I have very sensitive eyes, no chemicals at all in the hospital grade saline solution." WHAT'S EASTER • SEMANA SANTA LIKE IN COSTA RICA?? If you're coming for Dental or Medical Tourism - come at LEAST 2 weeks before things close down as I can't say I know of many dentists/doctors working during that week (or longer). WHAT IS A SURE BET TO BE OPEN? I LOVE this as the Central Valley is like a Ghost Town so there's SOOOO LITTLE Traffic and it's SOOOO much quieter!! Though this year will be interesting since MANY people seem to be cutting back in their spending. BUT - with that said, I'd bet it's safe to say about 95+% of the restaurants and businesses close - especially for that Thursday and Friday (if not the whole weekend). Markets/grocery stores usually go on shorter hours. EPA is usually open. ALL banks WILL be closed Thursday and Friday. Wednesday - most banks will close Wednesday BY 3:45pm and WILL have LONG lines. And trust me - MANY ATM machines WILL run out of money so PLAN ACCORDINGLY!!! WHAT IF I DO CHOOSE TO JOIN THE MASSES AND GO TO THE BEACH??? If you're relying on public transportation (BUSES), MANY book up sometimes weeks in advance (especially for Wednesday afternoon [when people get out of work] or Thursday morning) so do NOT wait. Many buses bring on additional buses during other hours BUT, those often come at a higher price. 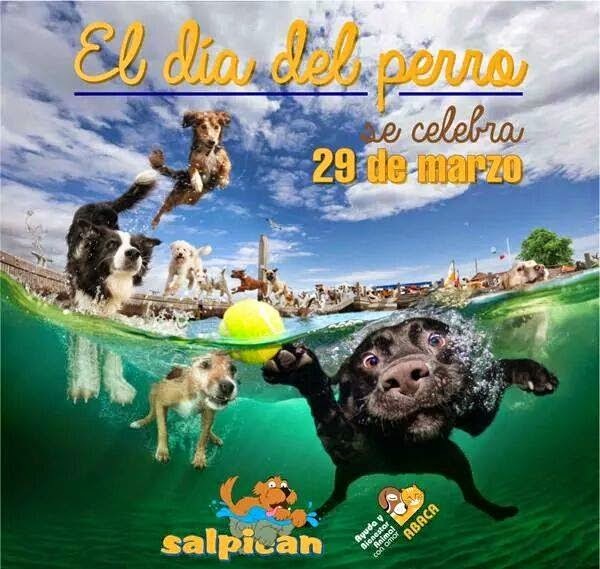 If you're going TO the Pacific Coast - the traffic will be REALLY BAD from Saturday March 28 till at least Friday, April 3, 2015 with all the people heading for the beach to celebrate Easter • Samana Santa - one of THE BIGGEST holidays in Costa Rica!! (meaning the West-bound lane from Escazu to Orotina/the Pacific - will be CLOSED from 1-8pm!!! Police say HOME BREAK-INS INCREASE about 40% during this week as they know MANY people go away!! WHAT CAN I DO TO PROTECT MY HOME FROM A BREAK-IN? 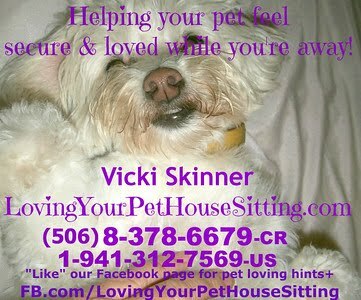 #1 - Bring someone in to House or Pet Sit for you!!! Also, get a timer to put on a couple lights or have a friend come in and turn lights on/off and take your newspaper in - bottom line is make the house look like someone's there. You can hire a Security Company (note that during heavy vacation time, they're busiest so they may not respond as fast. You can purchase a Security Camera. But if you don't have the money for either of those, you can buy a "Simulated" Security Camera to put outside in an obvious place. I had one at my place on Calle Vieja where I lived - NO gate, NO guard, NO alarm - just my sensor lights and the fake camera (you can find them around Costa Rica at Radio Shack - http://RadioShack.com/product/index.jsp?productId=2049770 - [they're more expensive in Costa Rica]). You can use a Guard Dog, but I've KNOWN people that were Home Invasioned and the banditos just fed or poisoned the dog(s) and many didn't even bark. To say nothing of what these barking dogs do to your neighbors life/sanity. VICKI'S SAFETY HINTS (for just going out for the evening) is I leave a light on in the living room and leave the tv on - on a channel in Spanish. If I have a taxi picking me up - as I'm leaving I yell back into the house (like someone was there - even though I live alone) "Ok honey - I'll see you in a couple days! Love you!!!" as I'm getting into the taxi. I have NOTHING valuable in my home. I leave it in a Safety Deposit Box at the bank. WHAT CAN I DO IF I DON'T WANT TO GO TO WITH THE MASSES TO THE BEACH??? Malls (and many of the stores in them) and movie theatres are usually open. This is a GREAT time to do some of the tourist things AWAY FROM THE BEACH that you've been wanting to do around the country like La Paz Waterfall Gardens - http://WaterFallGardens.com or MY FAV - you MUST check out the VIP Movie Theatre (or their GIANT screen iMax Theatre) at Nova Cinema in Escazu http://NovaCinemas.cr/cartelera.php - a MUST do in your life time!! The VIP theatre has it's own VIP Lounge with a full bar and serving panini's, carmel corn, sushi++ - then you go into the theatre and sit in BIG COMFY leather electric recliners (that practically go back into sleeping position) and while you're watching the movie, waiters come around and SERVE YOU!!!! And it's JUST 5,000-colones - $10!!!! (in the U.S. this would be $20-$40!!!). MANY things are closed ESPECIALLY ON Good Friday - April 6. WARNING!!! In the past MANY bus lines did NOT operate on Thursday and Friday - or at least will have VERY LIMITED service. Also, MOST TAXI drivers I know will NOT be working from Thursday to Sunday for sure but many go on vacation the WHOLE week so don't count on relying on them. Get your local taxi company number and make an appointment ahead of time (well, not if you're going close by). (I DO know that Jorge is working. He's one of my main legal red taxi's who speaks pretty good English and is VERY Customer Service oriented - 8-629-9824 is he new #). Well, sadly and Goddess-forbid, the safest bet are Americana/gringo establishments like McDonald's, Pizza Hut, probably TGIFridays, Tony Romas, Hooters, Taco Bell, Subway, Quiznos, KFC and the like. Plus there's always grocery stores (though they WILL have limited hours on Thursday and Friday)!! Candy made from Chiverre and Encurtido, Bread•Pan (many traditional families make their own bread so they can eat “Pan Casero" with Sweet and Condensed Milk or homemade bread). that Tico's like to add to their scrambled eggs. I've only had it cooked mixed with other vegetables. The beverages are all supposed to be natural juices, no sodas. The consumption of alcohol is NOT frowned upon. After all Jesus "turned water into wine." Traditional Catholics have fasting and abstinence obligations during the 40 days of Lent preceding Easter. That is why fish is favored over meats. 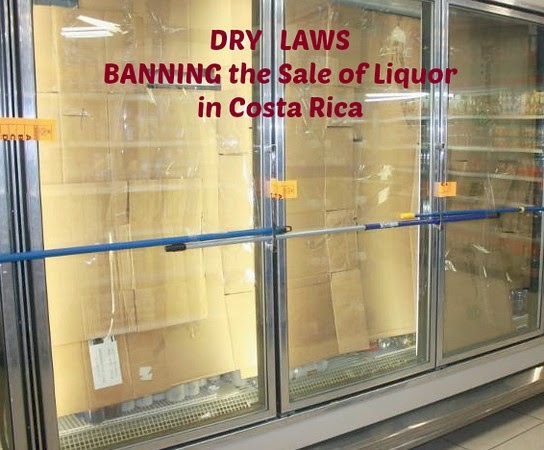 The BAN On the Sale of Liquor ("Ley Seco" = Dry Law) is STILL IN EFFECT - in SOME MUNICIPALITIES in Costa Rica!! WHY IS THURSDAY AND FRIDAY WAYYYYY MORE "CELEBRATED" AND NOT MUCH FOR EASTER SUNDAY? quite seriously (well - at least in MOST businesses) - practically shutting down towns not relying on the tourist $$!!! FEW Tico's I know do anything special on Easter Sunday (the Resurrection) other than go to church. Go figure!!! WARNING - don't EVEN think of driving FROM the beach East-bound especially that Wednesday (April 4) and Thursday (April 5) - or back FROM the beach on Sunday (April 8) and possibly some other days or parts of days in between) as some roads are CLOSED to traffic NOT going in the direction of the masses. Either way - you'll be in TRAFFIC for HOURS - or worse if there's an accident!! There are 2 times a year that NO WAY IN HELL will you catch me crossing ANY border because the border crossing can LITERALLY take 3-5 HOURS - and that means STANDING IN THE HOT HOT HOT SUN during that time!!!! MOST buses book up with reservations WEEKS in advance but they add on more buses (usually for a higher price for those). MANY people (especially government workers) get the WHOLE week off so it will start to get busy Friday - March 27 and Saturday - March 28. PLUS the roads will be busier so the ride will be longer (if you're taking the budget bus - Deldu - which has NO Air-conditioning and this is some of the HOTTEST TIMES of the YEAR - well - keep that in mind!!!). Bottom line - you might want to SERIOUSLY STAY AWAY from crossing the borders now - ESPECIALLY going into Nicaragua before Easter•Samana Santa & even more so - re-entering Costa Rica that Saturday before Easter or ON Easter Sunday as those are the 2 WORST DAYS!!! Don't have Residency in Costa Rica and plan on going to Nicaragua around Samana Santa??? When you're ENTERING Costa Rica - MAKE SURE YOU HAVE PROOF THAT YOU ARE LEAVING COSTA RICA WITHIN 90 DAYS!!! Proof is a bus or airline ticket WITH A DATE ON IT!!!!!!!!! An open-ended ticket is proof you are leaving Costa Rica within 365 days which is NOT proof you're leaving within 90 days is it??? Otherwise you run the RISK of getting a Tourist Visa Stamp for less than 90 days or even refused you re-entry!!!!!!! BORDER CLOSED EARLY ON THURSDAY and FRIDAY - April 2 and 3, 2015!! that MUST WORK THURSDAY and FRIDAY? DRIVING RESTRICTIONS IN SAN JOSE?? (sorry - I don't know the details on that). The pier in Puntarenas suffered some damage a few weeks ago and has been under repair. 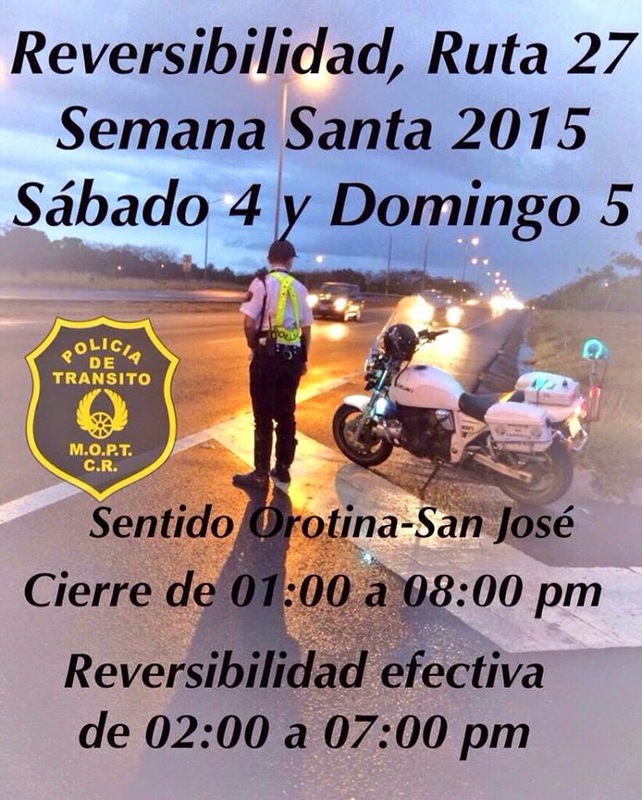 They resume on Sunday, March 29 - plus they will be adding additional trips throughout Semana Santa. A less aggressive tradition of Semana Santa is the custom of processions. The Catedral Metropolitana will hold many processions from its location at Parque Central beginning Sunday March 29, 2015. Similar events are held all over the country. These are somber events. A booklet with the schedule for Semana Santa en San José is available at the cathedral for free. Inside are the dates and times for each procession along with their proper name and a description of the event. There's also the at times QUITE AGGRESSIVE "Burning of Judas" / Quema de Judas. The Quema de Judas is where an effigy of Judas is made and hung on Good Friday. Then on SATURDAY NIGHT - the effigy is lit on fire and burned. This is an opportunity to get even with Judas since he was a traitor to the Maestro, said Carlos Arauz, a Costa Rica customs and traditions expert. According to the Bible, Judas was the apostle who sold out Christ for silver coins. Others have said the burning of Judas is a way for Christians to let all their sins wild and in symbol burn with Judas, and then confess for Easter. This cleanses and allows them to be reborn just like Jesus. It seems like “Almost everybody confesses before Easter,” said Arauz. The Catedral Metropolitana will have 100 priests working toward the end of the week to handle the crowd. There is a new Semana Santa tradition in Costa Rica in which vendors of food products donate a symbolic amount to the Roman Catholic Church. Then the produce is distributed to homes for children. Many of the public markets in the Central Valley have religious paintings of statues, and there are frequent services among those who rent stalls there. The Mercado Central, the Mercado Borbón and the Mercado Coca Cola were all represented at Parque Central Wednesday. The park is just west of the Catedral Metropolitana. Archbishop Hugo Barrantes was there to bestow his blessings on the vendors and the products they brought. This was just one of the activities for Semana Santa. This is a big week for the faithful and priests. There are three Masses at the cathedral today, at 8:15 a.m., at 9 a.m. and at 6 p.m. Then at 7:30 p.m. begins the first of several processions commemorating the suffering and death of Jesus Christ. The procession tonight is called Jesús atado a la columna or “Jesus Tied to the Column.” This is based on the biblical account of Christ being whipped by soldiers before his trial the following day. The procession is through the downtown area from the cathedral to the Iglesia El Carmen. There'll be no reprieve for this rooster. in Spanish Jesús Nazareno cargando la cruz camino al Calvario.Then at 5 p.m. the procession representing the funeral of Christ begins at the cathedral at 5:30 p.m. where marchers are joined by a column from the Iglesia La Soledad. There are hundreds of persons involved. There is another procession Saturday at 4 p.m. from La Soledad on Calle 9 to the cathedral with Mass at 7 p.m. The Easter procession is at 10 a.m. Sunday from the Iglesia La Merced at the west end of Avenida 2 to the cathedral for a Mass of Resurrection at 10:30 a.m.
Each of these processions are highly photogenic, and well attended by not only the faithful but tourists. Similar events will take place all over the country. Do YOU have anything to add to this??? Do you know of any NON-beach area restaurant or business open that Thursday and Friday?? Please get me the info (and ideally their website or Facebook Page) and I'll add them onto this list!! Have you found this information helpful - PLEASE help keep this VERY DETAILED blog (and me) going by making a DONATION! PLEASE "SHARE" this link with ALL your friends (especially on Facebook) that would ENJOY this information!!!! in place. AFTER Samana Santa•Easter 2012, Costa Rica implemented a new "Ley de Licores"•Liquor Law that left it up to each INDIVIDUAL MUNICIPALITY to decide whether to or not to BAN THE SALE OF LIQUOR on these days. WHEN is the BAN on ALCOHOL IN Effect? SAY WHAT? BUT I'M ON VACATION!! HOW CAN I WORK AROUND IT? The sad thing is I've hardly ever seen a hotel, travel agent inform it's booked guests of this ahead of time so MANY tourists come to Costa Rica and think - "Hey - it's SPRING BREAK!! PARTY!!!! And MANY guests are VERY disappointed - even down right ANGRY - and this DOES effect the chances of them returning to Costa Rica as well!! Buy your alcohol at least the day before (though lines WILL be LONG with people doing the same thing) & BRING IT WITH YOU!!!! Most bars (IF they're open) and restaurants will allow you to bring your own - but for their sake (because fines are VERY HIGH if they break the law - including being closed down for a period of time), please bring some sort of cup that doesn't show what's in it and do NOT leave the bottle out. This does NOT effect "All Inclusive" Resorts since they do not "SELL" alcohol - right??!!!! Some places (mainly places geared towards tourists) will get creative and "get around this" law by offering some sort of all-inclusive PARTY/Fiesta with a set price for food and drinks (not cheap usually as it is often an open-bar). WHY THURSDAY AND FRIDAY AND NOT EASTER SUNDAY? Costa Rican's seem to take these 2 holy days quite seriously (well - at least in MOST businesses) - practically shutting down towns not relying on the tourist $$!!! As of the last election, the BAN on the Sale of Alcohol was also in effect during the Saturday and Sunday of the ELECTION (the first Sunday in February every 4 years. The next one will be held on Sunday - February 4, 2018 [which is also SuperBowl Sunday. I KNOW this has been a problem in the past]). Please get me the info (and ideally their website or Facebook Page and hours and directions) and I'll add them onto this list!! PLEASE "SHARE" this list with EVERYONE you know that this will effect!!! Are "American's" being arrogant calling themselves "Americans"?? 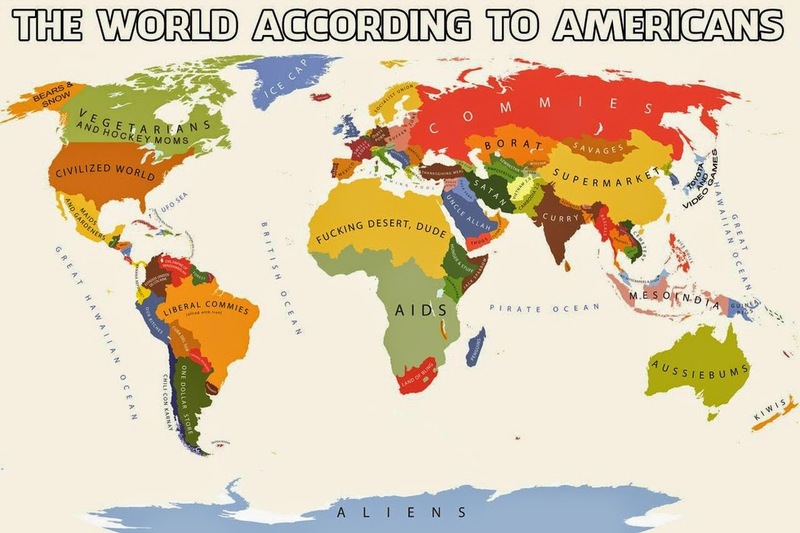 “ALL people from North, South & Central America are "Americans"
I hear what you’re saying - BUT it’s not FULLY accurate. Let me share with you ANOTHER way of looking at that statement because, as with most things in life, there IS usually ANOTHER way of seeing it & this is BIG!! I welcome those that think that way to take a deep breath & open your mind for a moment & read what I’m sharing - looking at the FACTS. Is this not THE COOLEST EVENT of the year?!?!?! It's a UNIQUE WATER • "POOL PARTY" FUNDRAISER - for dogs!! !